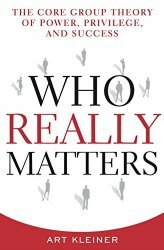 Who Really Matters (Amazon, Goodreads, Powells) puts forth the theory that central to every organization is a Core Group of people who really matter. This post is part of a series summarizing the book and covers Part 1: The Reality of Organizations, Chapter 4: A Very Special Kind of Love. You may want to start with the introduction. 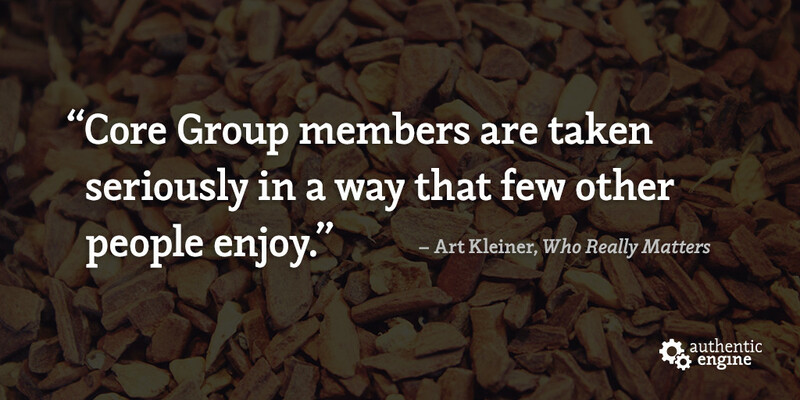 This chapter describes what it’s like to be part of a Core Group, whereby the organization sees you as central to its fate and will do anything for you. And there’s a self-perpetuating pattern here: Other people make decisions and do things to serve you as a Core Group member because it’s advantageous to their careers because Core Group members wield the power to improve your status. As with all love relationships, the reasons why a person is adored as a Core Group member may not be clear or even rational. Stay tuned for our next post in this series, a summary of Chapter 5: Power & Legitimacy, which explores the source and exchange of power and legitimacy between Core Group members and others in the organization. Kleiner, Art. Who Really Matters: The Core Group Theory of Power, Privilege, and Success. 1st ed. New York: Currency/Doubleday, 2003. This post is part of our Book Summary series in which we share summaries of books about leadership, governance, and community building. To discuss the book, leave a comment below or join our Goodreads group.